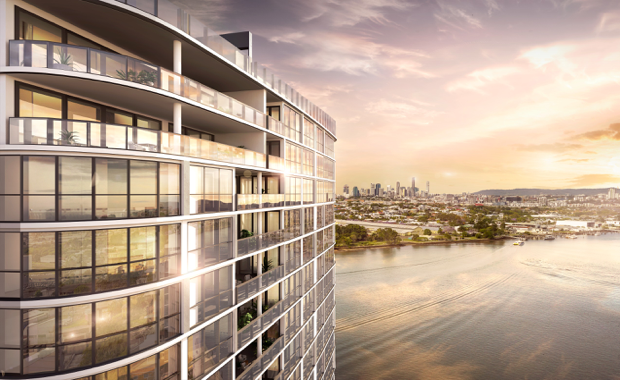 Brookfield Residential Properties is set to release a new $144 million riverfront development in Brisbane's Hamilton after the registration of interest campaign launched last week for buyers looking to secure a one, two or three bedroom apartment, or one of six premium penthouses and sub penthouses. One bedroom apartments in the new Gallery House development are priced from $362,000; two bedroom apartments from $575,000 and three bedroom apartments available from $1.28 million. The 20-level apartment project Gallery House will be the seventh apartment building for Brookfield Residential Properties in Hamilton and will occupy an absolute waterfront position neighbouring the developer's retail and residential community, Portside Wharf. Apartments are set to appeal to investors seeking a luxury product or those seeking a premium riverfront home in Hamilton.